Fermented foods are a fantastic way to get more probiotics into your diet. You can also drink your probiotics in the form of kombucha. This fizzy, fermented beverage aids digestion with acids and enzymes, detoxifies the body and promotes overall health. A Kombucha habit is a pricey one though, around $4 per bottle. Thankfully, it’s rather easy to make your own. 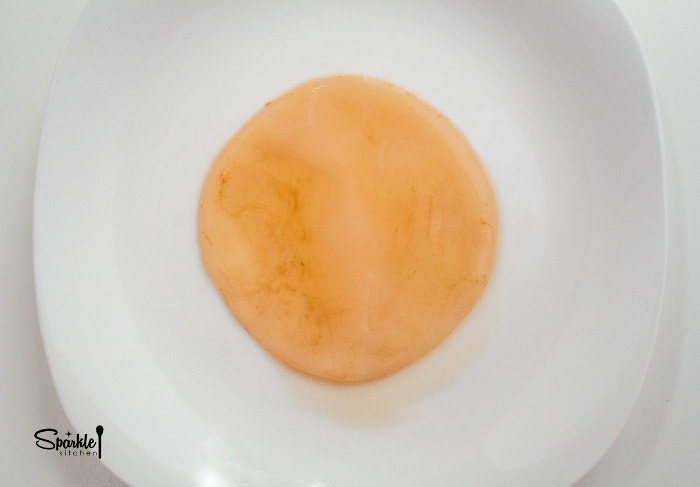 First you need a SCOBY (Symbiotic Culture of Bacteria and Yeast). It’s a jelly-fish, blob-like thing that’s actually living bacteria and yeast. You absolutely cannot make kombucha without it. WHERE TO GET A SCOBY? 1. Buy one from here, here or here . They range from $10-30. 2. Ask a friend to gift one to you. SCOBYs grow rapidly and in layers so if a friend makes kombucha regularly they will have extras to spare. 3. Grow your own. You can do this with a bottle of unflavored, unpasteurized store-bought kombucha. Watch my tutorial on how to do this below. Once you have your SCOBY, you are ready to brew your first batch of kombucha. Wash glass jar well with warm soapy water, not antibacterial. You don’t want it sterile, just clean. I recommend using Dr. Bronners soap. Make sure it is completely dry. Make sure hands are very clean too. Bad bacteria on your hands can transfer to the SCOBY and cause an infection. Boil the water, steep the tea for 10 minutes and stir in the sugar until it dissolves. Then allow the tea to cool completely. This can take a few hours. Bring the SCOBY and starter kombucha to room temperature as well. 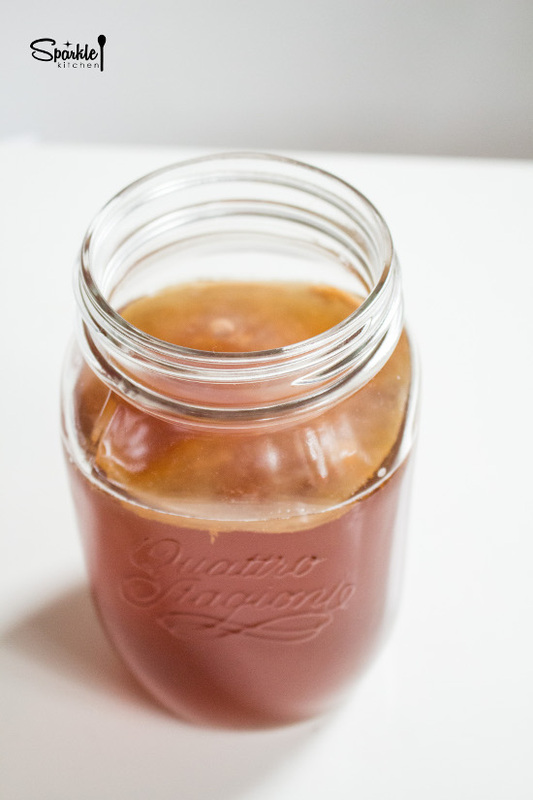 If you buy or are given a SCOBY, it will come in a jar filled with starter kombucha. Keep this stored in the fridge until you’re ready to begin the brewing. Once you’re ready to make your first batch, take it out of the fridge and allow it to come to room temperature. If you grow your own, then it will already be at room temperature and sitting in it’s starter kombucha. Once the tea, SCOBY and starter kombucha are at room temperature, you are ready to combine them all. Pour the starter kombucha and sugary tea into the clean glass jar. Then add the SCOBY. The fermentation process requires some air flow so don’t seal the jar. Cover with a coffee filter or tightly woven piece of cotton and secure with a rubber band. Select a brewing location. This needs to be a dark, well ventilated space where the kombucha will be undisturbed. Ideal temperature is between 72-85 degrees F. Above 90 and the SCOBY will die, below 60 and the SCOBY will go to sleep. I keep mine on a high self in the kitchen. Brew time varies depending upon temperature and health of your SCOBY. It can brew from 5-30 days. The longer the brew, the more sour the kombucha. Once the kombucha is fermented to your liking, reserve one cup to be used as your starter for the next batch. Then pour the remaining into glass jars or bottles, seal and refrigerate. For more carbonation action, leave the bottles at room temperature for a day or two, then refrigerate. Watch PART 2 of the Video here. 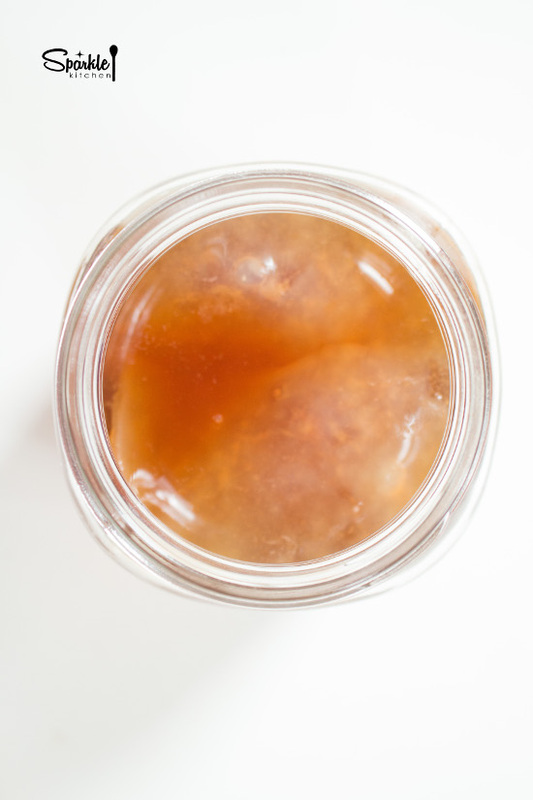 SUGAR: The SCOBY works best when you use plain, granulated sugar. Other sweeteners will make a weak SCOBY and your kombucha will not brew well. 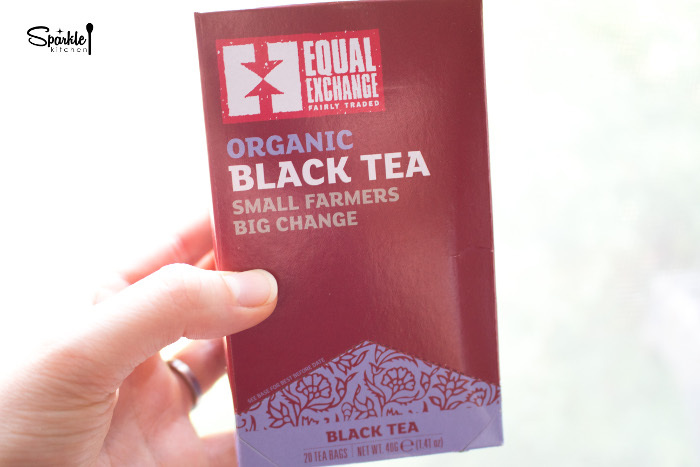 TYPES OF TEAS: Black tea and green tea brew the the healthiest kombucha. 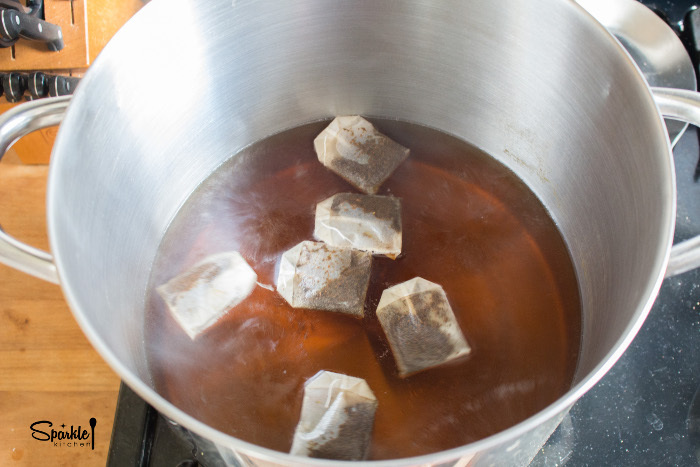 The SCOBY requires these types of teas for growth. Herbal teas do not have the same chemical properties as black tea, resulting in failed kombucha brewing. SCOBY: It is perfectly natural for the SCOBY to float at the top, on it’s side or near the bottom of the glass. 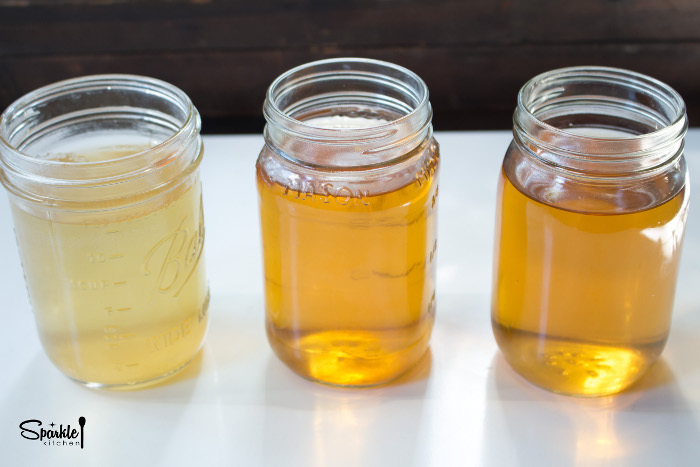 SUGAR: Yes, kombucha contains sugar and the content varies depending upon the brew time. The longer the brew, the less the sugar. ALCOHOL: Yes, kombucha contains alcohol. For first-batch home brews it falls somewhere between .5% and 3%. CAFFEINE: Yes, kombucha is caffeinated. It is half the amount in a standard cup of tea though since only 6 teabags are used for 1 full gallon of water. 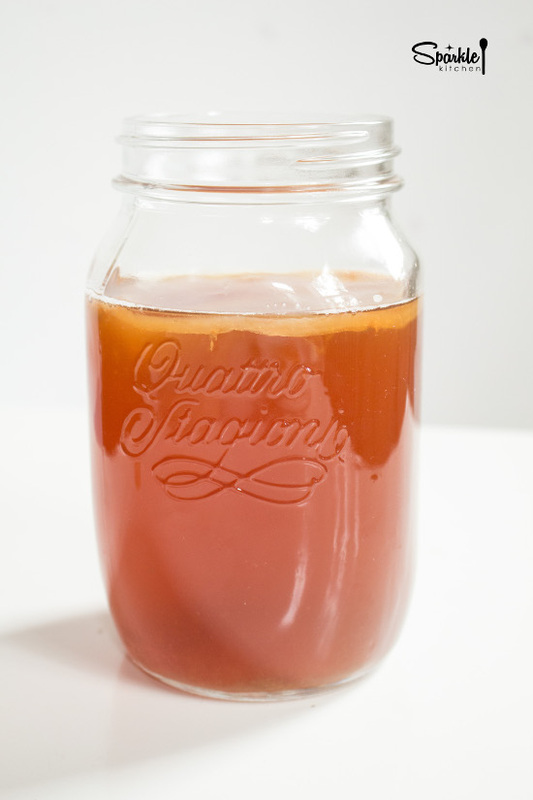 FLAVORED KOMBUCHA: After the kombucha has fully fermented, you can do a second ferment to add flavor. Simply add a piece of fresh fruit or 1 tablespoon of fruit juice to each jar. Leave a 1 inch space at the top of the jar to allow room for the carbonation. Seal air tight and leave at room temperature for 1-2 days. Then refrigerate. For all the myth busting facts on Kombucha, check out this article.